Corporations perform actions that can inflict harm with different levels of intensity, from death to material loss, to both companies’ internal and external stakeholders. 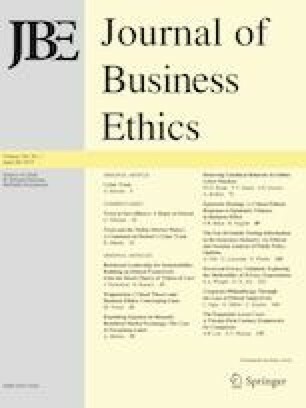 Research has analysed corporate harm using the notions of corporate social irresponsibility (CSIR) and corporate crime. Critical management studies (CMS) have been subjecting management and organizational practices and knowledge to critical analysis, and corporate harm has been one of the main concerns of CMS. However, CMS has rarely been deployed to analyse CSIR and corporate crime. Thus, the aim of this paper is to critically analyse the perspectives of CSIR and corporate crimes on corporate harm via CMS in general and postcolonial studies in particular. The paper contributes by arguing that research on CSIR and corporate crime could be perceived as producing research that does not challenge the essence of contemporary corporation profit-seeking activities that ultimately produces corporate harm. We argue that CSIR and corporate crime are ideologies that assist in disguising the contradiction between producing shareholder value and the social good that is at the heart of the modern corporation system and the current economic system. Furthermore, the postcolonial view of CSIR and corporate crime highlights how they are based on a Western-centric view of corporate harm that ignores the realities and perspectives of the Global South, especially in situations where corporate harm leads to death in the Global South. We are very grateful to Maria Fernanda Cavalcanti, the associate editor and the anonymous reviewers who gave a lot of insightful feedbacks to our paper.